In spring 2019, the City Program begins on Saturday, April 6 and runs through Saturday, June 15. Sessions are scheduled for both Saturdays of the Newton Public School spring vacation week (April 13 & 20). We will not meet on Saturday, May 25 (Memorial Day weekend). 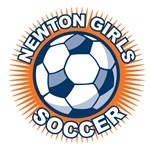 Matches are held on Saturday afternoons at NSHS Stadium Field. In-town matches are played at 2:00 pm. City 7/8/9 will also play some games against Brookline Town Soccer teams at 11:00 am. In addition, teams will practice once per week. Practice time and location TBD after teams are announced and will depend on field and coach availability. Rainouts – Field status updates are posted on this website. Twitter users can follow @newtonfields for updates. Decisions are typically made by 3pm on weekdays, 7am on Saturdays, and 11am on Sundays. Arrive 15 min. prior to kickoff.